Headaches and neck pain are both extremely common and nearly everyone has had this type of pain on occasion. In some cases the pain is more frequent and debilitating. Through this continuing education course, discover how you can assist clients in alleviating frequent headaches and neck pain. Identify types and causes of headaches and name contributing factors in the development of headaches and neck pain. Describe assessment tools for identifying signs and features of headache and neck pain dysfunctions. Review various massage techniques used to assess pain characteristics and address the release of fibrotic connective tissue and trigger points. List signs and symptoms occurring in conjunction with headache and neck pain that would be indicative of medical attention. Match massage applications with the specific pain management goals. List physiological benefits of outcome based massage therapy for headache and neck pain. 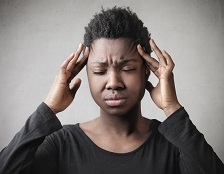 Select specific massage strategies for treating vascular and tension headaches and neck pain. The book was well layed out as far as each chapter built upon the next. I also appreciated that the end of the chapters had the key points box. It was a nice review. The description of sequences was very clear and concise. Overall, I feel this is an excellent course with substantial content. The training videos were very good, but could have incorporated a little more repitition on complex techniques and a little less time on some demonstrations. Excellent books and videos. Well written and easy to follow. All techniques I can put to use immediately in my practice. Information provided helps me understand what I can or cannot accomplish in regard to headache relief for different types of headaches. Thank you for an excellent course! The expertise of Sandy Fritz and Dr. Chaitow shine through with explanations and depictions in both the text and videos that are immediately applicable in the treatment room. This course is intense. It contains invaluable information and will need time and attention in order to learn. This warrants more than a 9CEU's. More like 12. Thank You. I am very happy with the institute and will continue buying courses. Tiffany is the best at customer service. The content was good in that there were sufficient details to understand the background information, headache causes, modalities and creating an effective treatment plan. The author's breadth of knowledge is wonderful. 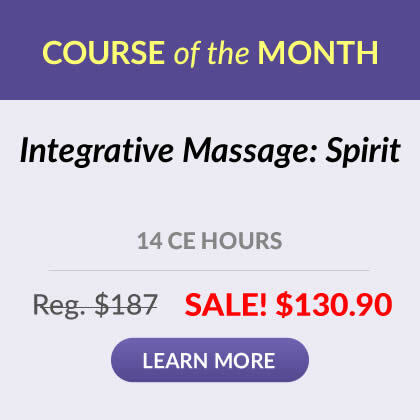 I have been a massage therapist for over 20 years and this was truly one of the best classes I have taken. I am also a headache sufferer and have many clients with headaches and neck pain, I found this course to be EXTREMELY useful and can't wait to apply the information and methods taught. There was a wealth of information provided, the videos were clear and well demonstrated. I wish this were a course I could take in person! Additionally, it could be worth more credits because so much information was provided I took me much longer to get through it all. Lastly, maybe it would have been helpful if just a little more description had been given on how to perform each technique. I love the videos and being able to watch the techniques being done. That was incredibly helpful. Great material! Website user friendly. Thank you for what you do very well. Very good course. I will use this information in my practice. I'm not usually a fan of online classes but this one was better than any I have taken in the past. I have learned some techniques I will definitely incorporate into my practice. This is by far one of the most helpful CEU courses I've ever taken. Before signing up with you I have mostly done CEU's in person because I thought getting to practice was the best way to learn. To my very happy surprise, I have found that having the time to go back over materials in order to really piece together things that I had missed or not entirely understood has made this far more helpful and informative than the in-person workshops I've taken. Also, I have found the two courses from you very high quality. I will definitely be taking many more. Great course, but thought it should have deserved more credits. Very comprehensive and enlightening. Would definitely recommend it for someone who's planning on doing massage for many years. Loved this course, it was very interesting. The only thing I can say against it, is that I was looking for much more on neck massage techniques, and not so much on everything else. Although of course I do realize everything is connected. Overall, great! This course was excellent. It is very thorough, and will likely require more than 9 hours of your time. 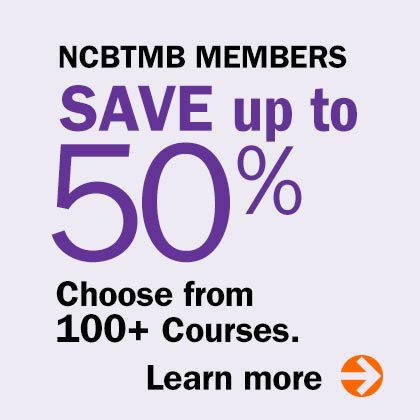 I'd say take this particular course ONLY if you truly are interested in this specific topic, because it is so comprehensive and clinical in nature. I do wish there had been a textbook purchase option, because the text would have added to the quality of the learning process (if you like/need tangible), and it would have been one for the library. Highly recommend this to MT's. The information contained is valuable to the practitioner and patient. The Video was very helpful not only for the test, but the practical application of theory. This course is very details and informative. It went beyond my expectations. Excellent course. I will highly recommend. This is a very high quality course. I was very impressed with the level of information presented. Great challenging course, learned some new moves. Really like the videos. Very informative course. The course was very easy to read and follow. I feel that I can better serve my clients with the better understanding I have. This was very, very, very detailed. I learned a lot for sure. The things I didn't like were too many charts!! It distracted me from reading what I was reading. As I scrolled down to pick up where I left off, I found myself forgetting where I was because of the charts. Plus this was a little much for 9 CEUs. Seems like it'd be worth a lot more. All in all I give it a thumbs up. Thank you. Great program, I'll address and recommend this site for future CEU opportunities. This course provided an extensive review of protocols for the treatment of headaches and neck pain. I will be reviewing the materials again as it is very in depth. Good video and text components. I was happy to realize there was an index for easier study. Thanks! Very informative and enjoyed the videos. This was a great course - challenging & interesting. Thank you! Even after 20+ years of massage, there is so much to learn! Very informative and practical. Loved the video assessments.